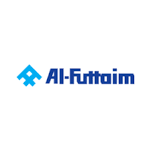 No two days are the same at Al-Futtaim, no matter what role you have. Our work is driven by the desire to make a difference and to have a meaningful impact with the goal of enriching everyday lives. Take our engaging and supportive work environment and couple it with a company culture that recognises and rewards quality performance, and what do you get? The chance to push the limits every single day.rnrn rnrnAs a humble family business that started on the banks of the Dubai Creek in the 1930s, Al-Futtaim has expanded to a presence in 31 countries, a portfolio of over 200 companies, and 42,000 employees. You’ll find us in industries ranging from automotive and retail, to finance and real estate, and connecting people with international names like Lexus, Ikea, Robinsons, and Adidas. Our team is proudly multicultural and multinational because that kind of diverse representation gives us the global mindset to grow and impact the people, markets, and trends around us.rnrn rnrnCome join us to live well, work better, and be the best.rnrnJOB PURPOSE:rnrnTo lead, motivate and drive the operational teams to achieve daily operational and business targets to an agreed operating plan and budget.rnrn rnrnDeliver to agreed service levels and ensure compliance of all KPI targetsrnrn rnrnCustomer engagement to plan monthly operations and new projectsrnrn rnrn rnrnDESCRIPTION OF THE ACCOUNTABILITY :rnrn- Efficient planning of workload, routines, MHE and resourcernrn- Quality standard s (accuracy, adherence to agreed processes, presentation of product)rnrn- Proactive associate development and leadershiprnrn- Productivityrnrn- Health, safety and securityrnrn- Continuous process improvements through innovationsrnrn rnrnJOB CONTEXT: rnrnResponsible for adherence to all group policies for self and team members. HR policies, EHS policies, Al-Futtaim way behavioural standards.rnrn rnrnQUALIFICATIONS, EXPERIENCE, & SKILLS:rnrn rnrnMinimum Qualifications and Knowledge: Degree mandatory. MBA advantageous.rnrnMinimum Experience: 2 years in large scale warehousing operationsrnrnJob-Specific Skills: Man management, planning, detailed understanding of operational, administrative and system processes.